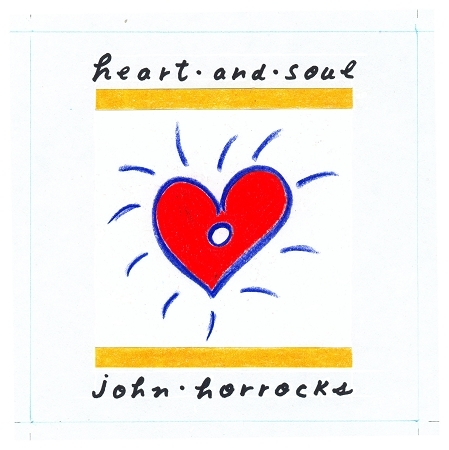 Copyright 2005 Empress Records Inc.
Heart and Soul is the newest recording by master guitarist/singer/songwriter John Horrocks. The album, described as "a little treasure" by one fan, features 12 fantastic new songs penned by Horrocks over several years while touring across Canada. The lyrics deal with personal growth and transformation, social issues and life experiences, delivered with rich vocals and beautiful finger-style guitar technique. From the opening cut, Heart and Soul, which recounts the wonder and joy of an expectant parent, to the finale, Comin' Home, a charming, lilting instrumental, the listener becomes entranced by the interplay between the lovely, detailed acoustic guitar work and lush vocals. Their are many diamonds on this record, including the romantic Open Up Your Heart and Everybody, a song about truly communicating "what's in your heart", as well as the The Irish Queen, a dazzling instrumental celebrating the Irish ancestry of his wife's family. John Horrocks provides outstanding performances on lead and back vocals, 6 string, 12 string and classical guitars, as well as mandolin and bass! Roger Mann pitches in with brilliant accompaniment on 6 string, and electric guitars, banjo and background vocals. Other guest performers included: Claude Arsenault on bass, Richard Gingras and Camille Zaroubi on congas. Sam Harrison played drums on "It All Comes Back". The album was produced by JOHN HORROCKS for EMPRESS RECORDS INC. Recorded and Mixed at Le Studio DMP.